Sports have never really been a constant thing in my life. I played quite a bit when I was younger – football in middle school, and basketball in high school. I wasn’t exceptionally good, nor was I outrageously terrible: I was average, and played because I enjoyed it. I used to attend Arsenal matches with my dad all the time, but as I grew older, my interest in playing sport waned, and so did my passion for watching games live. 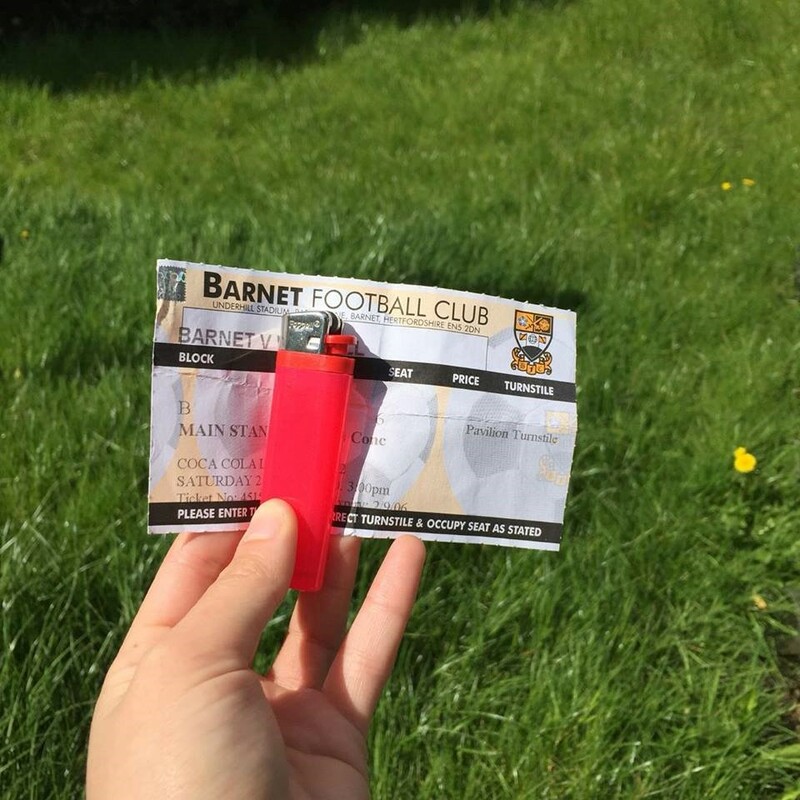 Recently, however, I’ve begun attending football matches at Barnet’s homeground, situated in Edgware. My dad’s cousin Tony is the chairman of Barnet and has been generous enough to offer us a place in the box above the pitch where we get a three-course meal and a chance to socialise before and after each game. I mainly agreed for the promise of free food, but after watching my first live match a few weeks ago for the first time in years, something sparked in me that I didn’t know was there. Our most recent venture to Barnet’s stadium was to watch them play against Yeovil. My sister and I got dressed up and then drove there with my dad (while she was fighting a raging hangover, much to my amusement.) We went up into the box, greeting Tony and the rest of the regulars, before taking our seats at the table. Dinner was lovely – a starter of deli bites which included olives, pastrami, feta cheese and smoked salmon, while the main was a choice of cod or beef; I chose the cod, which came with baby roast potatoes and steamed vegetables, and was bloody delicious. Dessert was a selection of treats, including profiteroles, sticky toffee pudding, and a delectable chocolate mousse. After, it was game time. We took our seats (almost centre pitchside!) and waited eagerly for the match to start. A few moments later and it did, the players wasting no time before jumping into action. That’s the thing about teams that are a little lower down in the league – they don’t put on the theatrics like the bigger teams do. These guys are brutal and definitely do not hold back on the pitch, which makes for a very entertaining game. We all lost ourselves in the game, cheering along with the rest of the crowd when Barnet scored and slinging angry words at the referee whenever he made an unfair call or ignored fouls from the other team (which happened a suspicious amount, just saying.) Despite a 3-1 lead for our Barnet boys, sadly they ended up losing to Yeovil 4-3 in a surprising turn of events. What was even more surprising was the anger that this brought out in me – I’m a relatively calm person, and have never been particularly competitive, but I felt the rage flow through me when Barnet lost, and found myself ranting along with my dad and sister about how they should’ve won, enjoying the feeling of solidarity in our outrage. Man of the Match – John Akinde! This experience has definitely opened my eyes and helped me understand why sports fans are so passionate and have such love for their team. While I’m not going to be donning my own football boots anytime soon, I definitely have a new interest in watching live games, and hopefully I’ll be seeing more of them in the future!